Brand Values – from us to you. The team at Staglers are passionate our four legged friends and their needs in life! Our ethos and mission statement are withing our brand values. It “pawtrays” our corporate personality and it acts as our mark of quality. We have recently spent time creating our “paw” Brand Values: Each explaining a little about our reason for doing business but which also form an essential part of our promise to you. We all leave paw prints no matter how big or small our shoes are. Realising how our actions impact the world around us is at the heart of the Stagler’s culture – we believe the smallest of actions can make a huge difference. This is why we take great steps to source naturally shed deer antler, giving the stags a chance to re-grow their antlers for the following year. Eco-sustainable giving you our clear and consistent message. It started as a family project to see if we could get the message about our identity into colour. Uncomplicated and focused. The black antlers stand proud, the green wording represents our green ethos and the orange, unashamedly, shouts look at me! Confidence that our products are always going to be grade A or the best can source, truly representing the spirit of what Staglers is about. Quality, fun and a great brand. Simple, Honest and transparent communication & values are really important to our family run business. We care for animals, here at home, including Biscuit our Border terrier. He is part of the family, like so many dogs in the UK, involved with everything we do. Not surprisingly he is a key player in our advertising and brand image, on our flyers, adverts and even our new, bright orange logo’s mode of distribution! Trade partners are really important to us, getting the right ones is a priority. Recent changes in antler supply is making supply to trade more difficult for us. We are proudly keeping to our Mission Statement – not to buy/sell or flood the market with inferior grade white antler! 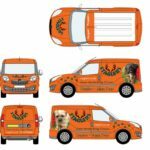 Our durable dark antler can be found in carefully accepted retail outlets, from farm shops, dog groomers & trainers to chosen pet retailers and carefully selected online businesses, all of whom we have “vetted”. We do not sell directly to Ebay or Amazon but choose to keep it personal and friendly! 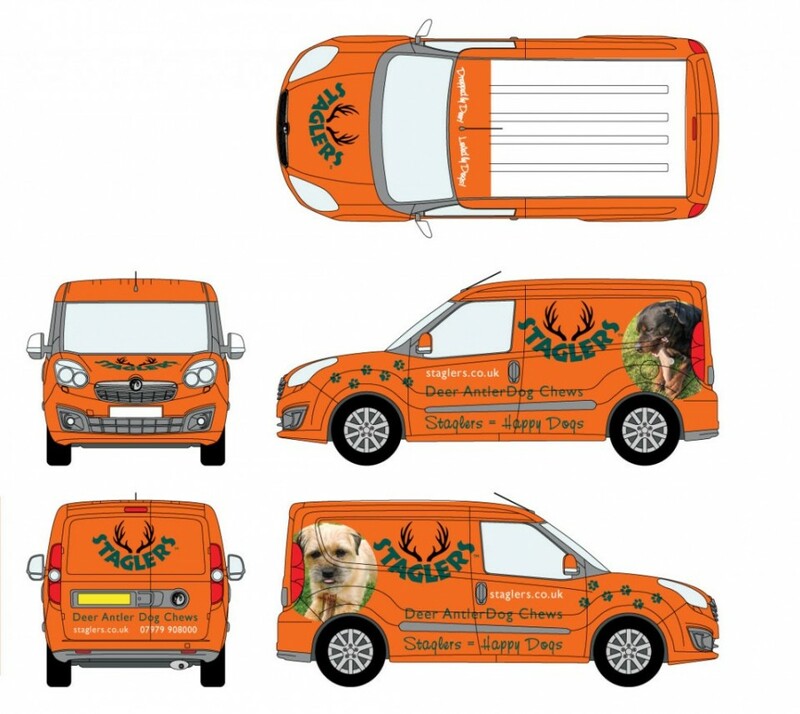 “Staglers was started by John Palmer-Snellin, who for many years was Dorset Police’s wildlife officer, along with his wife Sandra, who runs Farmer Palmer’s Farm Park. We bring experience and knowledge to our business through networking and contacts within the industry. They marked the business’s first anniversary by investing in a Vauxhall Combo van with branding of their own design. Year 2, 3 & 4 and still going strong. How? By making sure communication with their customers, that’s you, involves listening, talking and valuing reviews and feedback. Simply put.